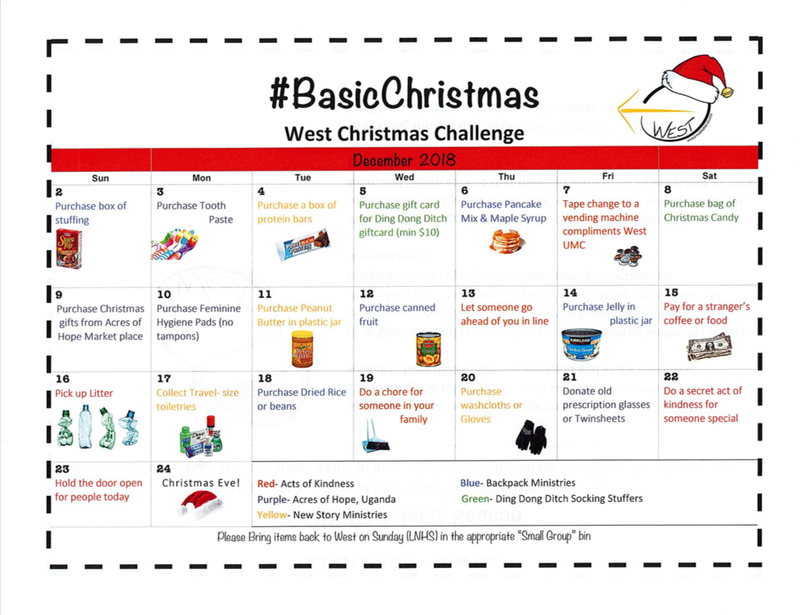 Prepare for this season of Christmas with the #bsicchristmas challenge. 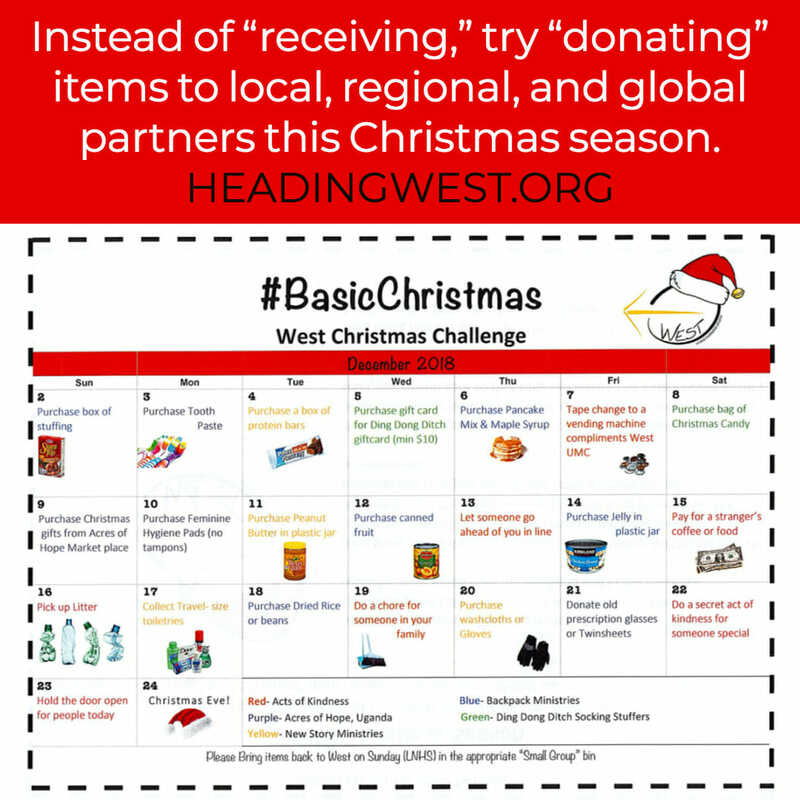 Instead of “receiving, “try “donating” items to local, regional, and global partners this Christmas! Backpack Ministries- West supports children at Third Creek Elementary and Lake Norm High with food in backpacks to help subsidize their meals over the weekend and in the evenings. Click here to learn more. New Story Ministries- New Story is a sister United Methodist Church in Winston Salem that is a mission church, meaning they are dependent on other churches and grants to fund themselves. Their congregation is largely people overcoming addiction and homelessness. Click here to learn more. Aces of Hope, Uganda- Acres of Hope in Nebbi, Uganda is an organization that provides over 200 children with a home, education, food, and health care so that they can learn to be independent as they grow up. Click here to learn more. 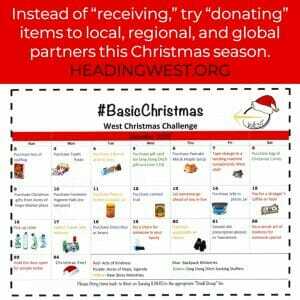 Ding Dong Ditch- is the “Angel Tree” of West that supports area families with a little extra love at Christmas. Click here to learn more. Donations can be dropped off at the West office Tuesday – Thursday 9:00 am- 4:30 pm or 8:00 am-Noon at Lake Norman High School, 186 Doolie Road on Sundays.